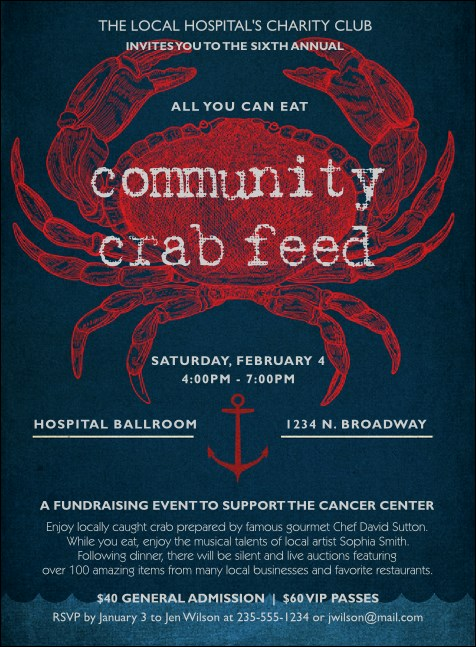 Lure possible guests with the Crab Dinner Invitation! A vivid crab graphic in garnet accentuates indigo and azure tones on the backdrop, while an anchor and gentle waves add even more marine touches. White text on 16 lines on this template keeps things refined and makes sure everything your visitors need is at hand. Summon in style with the right invitation from TicketRiver.com.au!